Winchester Cookie is a teen-owned gourmet cookie delivery service proudly serving the greater Winchester & Frederick County, Virginia region. Every single cookie is our own recipe, made from scratch, then Baked Fresh & Delivered ℠ usually within 90 minutes of confirming your order. We are on-demand, which means we only fire up our ovens to bake your order — often the cookies are still warm on delivery and ready for your decadent enjoyment. Our signature and most popular cookie. The Chocolate Chunk cookie features a generous amount of top quality semi-sweet chocolate chunks and has rich caramel and espresso notes of crunchy on the outside and soft and chewy on the inside. The Oatmeal M&M is made with a generous amount of everyone's favorite colorful candy! The White Chocolate Brownie Cookie has that outer cookie crispiness you crave with a soft and moist center cradled with sweet white premium chocolate chips. If one thing is for certain it's that our Coconut Macaroon is one of our most beloved cookies that our fans rave about over and over. Made with the highest quality organic whole-flake unsweetened coconut flakes, these come out with a crunchy and lightly caramelized outside, and a soft, gooey sweetness on the inside. These are not made with evaporated milk, that's one of our secrets that make them so unique. Dipped in semi-sweet chocolate or left plain, these gluten-free treats are waiting for you. The funny-sounding Snickerdoodle cookie isn't just a Sugar with cinnamon, it's got a magic ingredient that makes it something unique. One of our most popular cookies! The classic Sugar Cookie, simple and sweet with a lightly caramelized sugary crust on top. The soft & chewy Oatmeal Raisin cookie will warm your heart and soul with the down-home goodness of 100% whole-grain oats, brown sugar, butter, and cinnamon. The Peanut Butter cookie is another classic you know and love. Back by popular demand! A signature fan favorite, the Lemon Poppyseed cookie brings that just-squeezed lemony lemonness kissed with a sweet drizzle of delight to brighten your day or night! FOR A LIMITED TIME, we've taken a classic recipe and made it that much better by taking raw preservative-free pecans and dry-roasting them to bring out the freshest nutty flavor. Brought together with simple ingredients and lots of butter, the Pecan Shortbread are a great standalone or with your favorite tea or espresso blend. FOR A LIMITED TIME, the Gingerbread cookie is a holiday favorite with the warm and cozy taste of cinnamon and rich, dark molasses. Cold, snowy winters and roaring fireplaces are the perfect accompaniment to this special tasty bite. Since every cookie is Baked Fresh & Delivered ℠ when you order 1 dozen, you may choose up to 3 flavors in any quantity (for example: 4 Chocolate Chunk, 4 Snickerdoodle, & 4 Oatmeal Raisin –OR– 6 Confetti Party & 6 White Chocolate Brownie). Wondering why we have this rule? It’s simply because we bake 3 trays at a time and each flavor bakes at a different rate & we want each of your cookies to be perfect! Texting us at (540) 296-4686 is the easiest method for same-day inquiries. Of course, call us too if you like! Payment may be by cash, credit, ApplePay, Venmo, or PayPal. Sorry, we only accept checks from pre-approved corporate clients. Delivery hours are usually 10AM-8PM Mon-Tues & Thur-Sat. Closed Sun & Wed for same-day delivery; however we will work to accommodate special requests placed in advance! The recipient simply orders and applies the gift card to their purchase–all taxes and delivery fees are included! 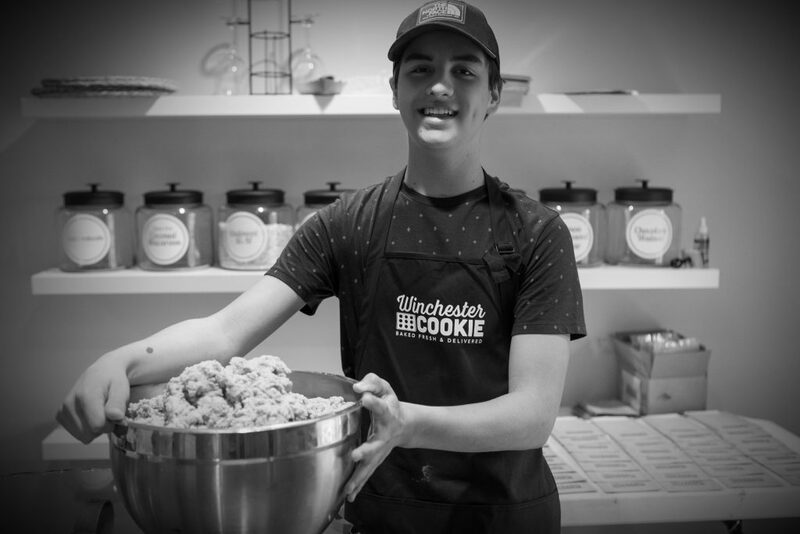 Winchester Cookie is the enterprise of 17 year old Elijah Perry, thus our hours and available delivery times can sometimes be very limited. Thank you for your understanding that although this is a “family-run business” when he is in school, has other commitments, or is just hanging out with friends being a teenager, there may be times where we are unable to immediately respond or deliver at your requested time. However, we will always do our best to WOW you! Thank you from your friends at Winchester Cookie! I got these for a Friday treat for my office and they were gobbled up in minutes. So good and awesomely convenient! Highly recommend! Wow!!! Most amazing cookie ever!!! I tried today for the 1st time and have told everyone I can how good they are. I don't know the owner, just met today when he delivered oven fresh and warm cookies to my work!!!! They are huge!!! And delicious. I had coconut macaroons and chocolate chunk. Both were amazing. I will order again. Very professional young man. Delicious, convenient, prompt delivery and locally owned! What more can we ask for? Dude! These Macaroons are off the hook! Knowing people come from all over to visit the Shenandoah Apple Blossom festival, I thought this would be a good way to bring my cookies to the town and see what people think. My parents helped pay for a vendor spot at the Weekend in the Park and we have done everything to build this business from scratch. From our “Baked Fresh & Delivered” concept, product photography, logo design, and all the recipes, it has been a ton of work and so far without any pay. After spending countless hours of testing different ingredients, working with my mom we were able to come up with some special recipes that I hope the town will embrace. Our signature Chocolate Chunk and White Chocolate Brownie are sure to bring full satisfaction, and we came up with a Lemon Poppyseed made with fresh lemon juice and zest that surprises people every time they take a bite, then another with a big smile emerging. We give our full attention to the baking process to make every cookie the best using only the highest-quality ingredients. I think you’ll see and taste the difference. 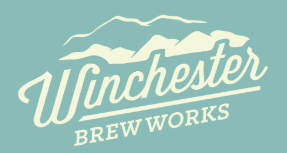 This event will be our first entrance onto the local food scene and in the near future we will be offering delivery of orders in the greater Winchester area.